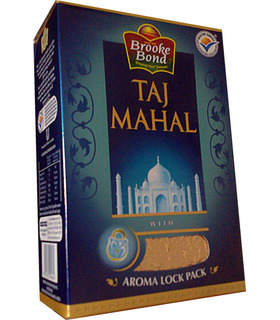 Brooke Bond Taj Mahal Tea is a premium brand of tea in India. 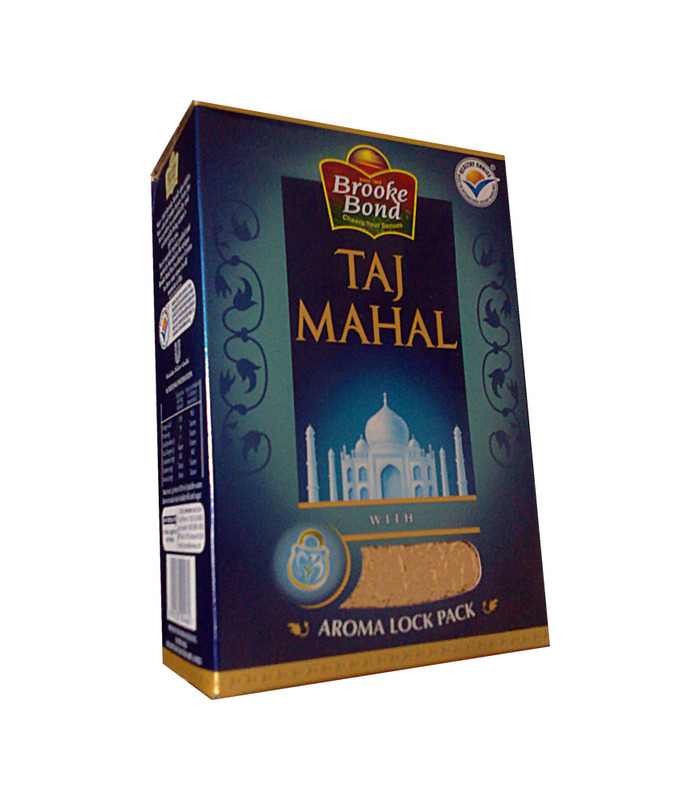 It is made from the finest selection of tea leaves to create a robust, full-bodied brew. This pack contains loose tea. Black tea is more oxidized than green or white tea and has a stronger flavour that retains longer. It is a great wake up drink that contains antioxidants, helps improve oral health and relaxes the body. According to some researches, it is said to help slow down blood sugar absorption, and also reduce the chances of getting Diabetes. Read more about India’s favourite beverage here . Brooke Bond Taj Mahal Tea is a premium brand of tea in India. 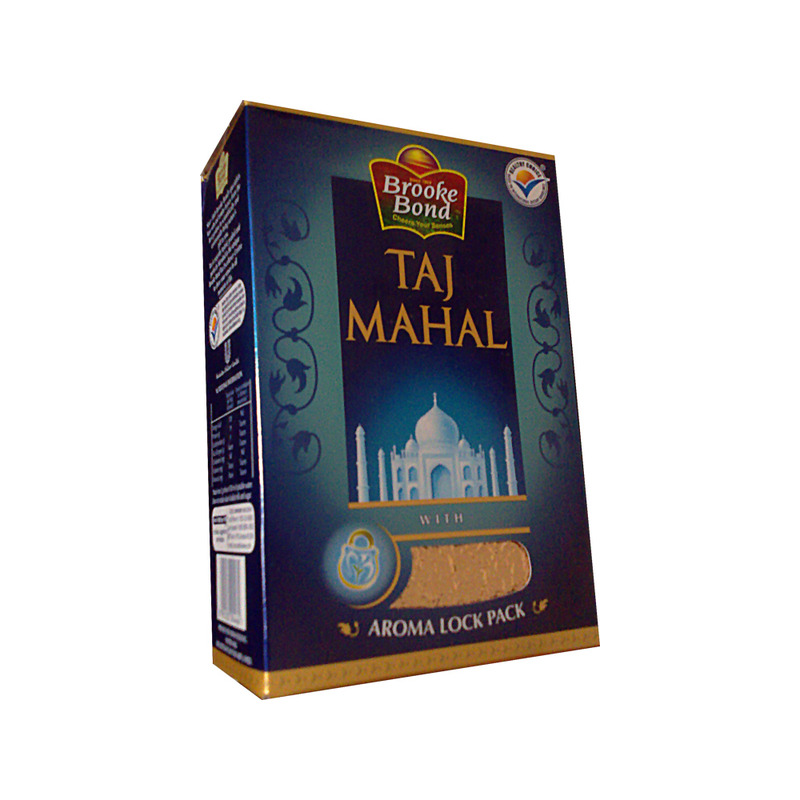 It is made from the finest selection of tea leaves to create a robust, full-bodied brew. This pack contains loose tea. Black tea is more oxidized than green or white tea and has a stronger flavour that retains longer. It is a great wake up drink that contains antioxidants, helps improve oral health and relaxes the body. According to some researches, it is said to help slow down blood sugar absorption, and also reduce the chances of getting Diabetes. Read more about India’s favourite beverage here.